Karen Walker, Will and Grace‘s resident salty socialite, has never hidden her attraction to women. Over the course of the original series, Karen candidly discussed her bisexuality and her encounters with women. 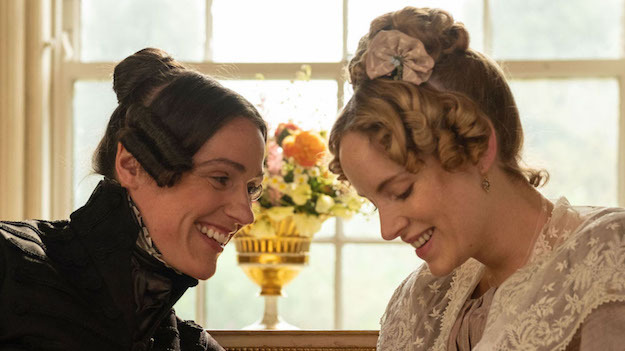 However, we’ve never really seen Karen involved in a real meet-cute with another woman. This week’s Will and Grace changed all that. When a snowstorm strands Karen (Megan Mullally) in the office, forcing her to miss a getaway with current boyfriend, Malcolm, Karen meets Nikki from the office above Grace Adler Designs. Nikki is, of course, lesbian heartthrob Samira Wiley, bringing just the right amounts of sweetness and swagger to the show. They share some martinis (naturally) and talk soon turns to relationships. Nikki reveals she’s a lesbian, something that intrigues Karen. Nikki also makes Karen think about what she’s getting out of her relationship with Malcolm. Karen’s always had to be the one in relationships to take care of everything, and Nikki suggests that maybe it’s time for Karen to be the one take care of. Karen is clearly smitten with Nikki, who returns the feeling. When the storm clears and Nikki gets up to leave, Karen lets her feelings show and the two share a sweet kiss that would melt any icicles forming on the windows. 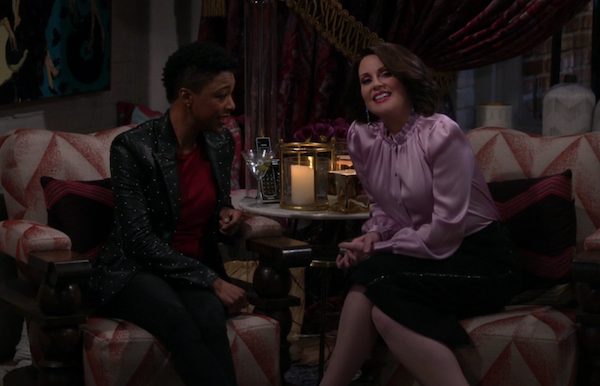 We know that Samira is scheduled to guest star on another two episodes of Will and Grace, so it looks like we might actually see Karen fall head over heels for someone who sees Karen for the complicated person she really is.